In a world full of chemicals and pollutants, protecting our air quality -- and our planet -- can be a challenge. When we think about pollution, the first image that springs to mind is usually black clouds billowing from factory chimney stacks. However, the truth is that our indoor air can be two to five times more polluted than the air outside. One of the biggest contributors to poor indoor air quality is the emission of chemicals known as Volatile Organic Compounds (VOCs) from fabric, furnishings, paint and building materials. These products can release thousands of VOCs into the air and into our lungs. VOCs are a big problem in the offices and houses where we spend most of our lives. Many of these carbon-based chemicals (such as formaldehyde) are known to be irritants with adverse health effects. Headaches, allergies and respiratory conditions such as asthma can be caused or worsened by exposure to high levels of these compounds in the air we breathe. Choosing safer materials for our furnishings is an important step in safeguarding indoor air quality. But how can we know the VOC emissions status of the fabrics we buy? Phifer wants you to understand why it's important to find fabrics with low emissions. Consumers who care about emissions should know how to identify whether their outdoor fabrics are GREENGUARD® certified, as well as what that certification involves. What is the GREENGUARD® Certification? GREENGUARD​ Certification is provided by UL Environment, an industry-independent scientific organization that tests thousands of products in order to establish their VOC emissions levels. When a product has achieved GREENGUARD​ Certification, it means that it has met some of the world’s most stringent field-validated and performance-based standards for low chemical emissions. 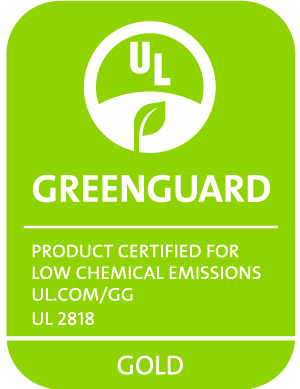 All GREENGUARD​ Certified products have undergone a strict program of unbiased testing in the UL labs, where they are monitored for emissions of more than 10,000 individual volatile organic compounds. GREENGUARD​ Certification also audits the manufacturing process of certified products. Once a product has been scientifically proven to meet these standards, it can be awarded certification. In order to maintain GREENGUARD​ Certification, the product must be re-tested annually. 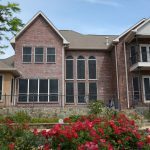 Products that are GREENGUARD​ Certified have met strict chemical emissions limits and have been designed for indoor spaces such as homes and office environments. The certification criteria at this level are recognized as the standard for several office building Green certifications: it has provided the basis for the U.S Green Buildings Council’s low-emitting furniture LEED credit since 2002. - Formerly known as the “Children and Schools” certification, GREENGUARD​ Gold presents the strictest criteria to date regarding low-emissions products. It was originally developed through the study of the chemical sensitivities of children, who are at a higher risk of harm from inhaling VOCs. A product with GREENGUARD​ Gold Certification emits even lower chemical levels and is particularly low in formaldehyde levels so that it is safe for use around children and other vulnerable populations such as the sick or elderly. Because GREENGUARD​ is such a trusted name in environmental safety, any fabrics which have passed their certification will mention that it meets this criteria. Look for the GREENGUARD seals that indicate the level of certification achieved. Checking up on GREENGUARD Certification couldn’t be simpler. The GREENGUARD website has a product finder where you can search by product type, brand name, level of certification, and more. It’s a fast and easy way to ensure that the fabric you’re considering really has the GREENGUARD stamp of approval. Each fabric type and brand needs to be evaluated on an individual basis: because GREENGUARD​ Certification is a voluntary program, there is no standard which mandates that any particular type of fabric will automatically be a GREENGUARD Certified product. It may be surprising to know that some outdoor fabrics have achieved GREENGUARD Certification. 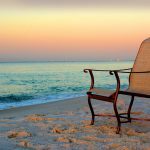 Why would you need an indoor air quality certification for outdoor fabric? The main reason is to provide flexibility in how the fabrics are used. The line between indoor/outdoor furnishings is blurred in contemporary design. 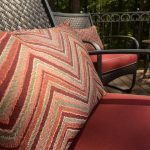 With high quality designer outdoor fabrics now reaching an aesthetic standard that can compete with traditional door upholstery fabrics, designers and DIYers are embracing outdoor fabric as a hard-wearing alternative for their living room suite. Even if you’re planning to use your indoor fabric outdoors, having more eco-friendly alternatives such as GREENGUARD Certified products is a big win. There may not be as much concern about VOC emissions in your backyard as there is in your home, but less pollution is less pollution -- and that’s something to be celebrated. Protecting the environment and the health of our customers is important to us, which is why we’ve gone the extra mile to obtain GREENGUARD​ Gold level certification for every fabric we sell. 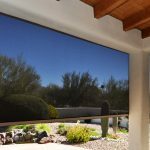 You can shop all of our collections with peace of mind, knowing that they’re safe to use in all kinds of projects, indoors or out! Olefin® Fabric - Soft and gorgeous, olefin is ideal for pillows, cushions, upholstery, curtains, and other projects where comfort and style are every bit as important as sturdiness. Geobella® - Phifer’s GeoBella line of 100% olefin fabrics offer an environmentally-friendly, high performance material that’s UV/fade resistant, stain resistant, easy to clean, and quick to dry. Explore the spectacular variety available in our GeoBella range: vibrant colors and patterns with sophisticated weaves from stripes to jacquards and complex florals. Whatever your design aesthetic, you’ll find beautiful coordinating GeoBella fabrics to inspire you. 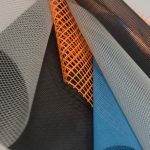 ​Vinyl-Coated Polyester Mesh® Fabric - From sling chairs to tote bags, this superstar mesh fabric is strong and stable, a top performer in situations where durability is paramount. Phifertex® - Our Phifertex line of vinyl-coated polyester mesh fabrics are exceptionally hard wearing while still being attractive enough to please the most design-conscious DIYer. Rich colors and a variety of weaves -- including nature inspired wicker weaves -- allow you to find a Phifertex fabric to fulfill all your design dreams. Easy to clean and maintain, stain- and water-resistant, and UV/fade resistant, all Phifertex fabrics are infused with antimicrobial Microban® and are covered by a three-year warranty. You’ve done your homework and research. Now, it’s time to get creative! Grab a glimpse of what your DIY project might look like using The Phifer Outdoor Fabric Visualizer. With this fun and easy-to-use tool, you can mix and match Phifer’s designer fabrics using sample images. Mess around with color and texture until you find a look you love! Have a question about any of Phifer’s GREENGUARD​ Gold Certified fabrics? Get in touch! We have the answers and advice you need. Whether you’d prefer to talk over the phone, email, or live chat, our friendly experts can offer help and even recommend retailers nearby or online who stock your chosen Phifer products.